With so many choices out there we make it easy to find the perfect case for your next build. We look at build quality, cost, and of course options to make sure that next case is the right one for the job. 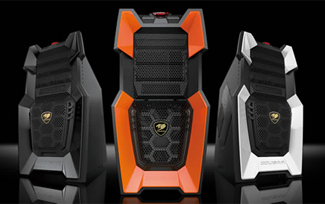 When we find one we think stands out, we review it showing you why its a great case for that next PC project. 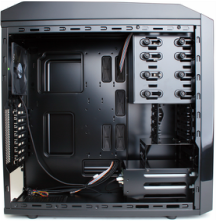 The Predator offers cable management, hot swap drive bays, tool less mounting, and much much more at a modest price. Smooth lines with backlit LED panels this case is hot! Skillful collection of colors offered including green, blue, red, orange and white this system has a lot to offer for the money! 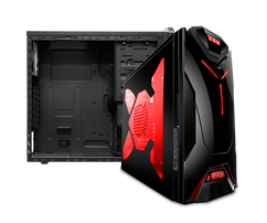 Sporting bigger features than the previously mentioned Viper II this case provides support for dual 240 mm liquid cooling, SSD hotswap bay, and extended VGA card access just to name a few of the options in this powerhouse case. The Raidmax Vortex V4 proves to be another great case in the Raidmax lineup. This will work great in a budget PC build or even a low cost gamer with the features included and a great price tag of less than 60.00 shipped! 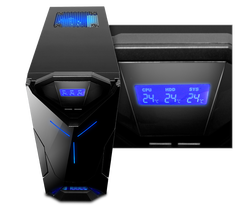 NZXT Guardian 921 RB with a 3 temp LED panel and extra large side panel cutout. A truly brilliant and unique case for the enthusiast out there wanting a more extreme unit!